Come join us to explore the waters around historic Gloucester Massachusetts. 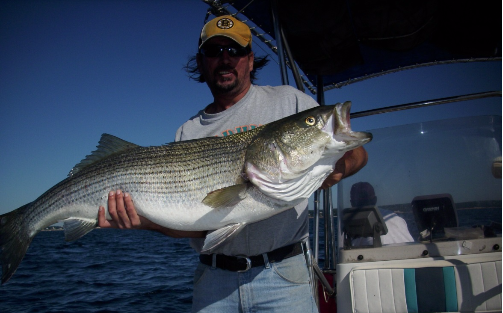 We offer private fishing charters, harbor and sunset tours for up to six. We’re adding lobster tours this summer. Guests will see how lobsters are harvested from the icy waters of Cape Ann. 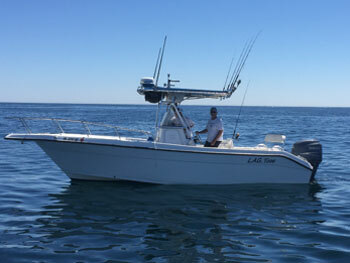 We’ll be on the water in our 25 foot Cobia Center Console. This boat is roomy and safe; it can get us to the fishing grounds in a hurry. Thank you for stopping by the LAG Time Charters web site. There are many charter opportunities in Gloucester and on Cape Ann. 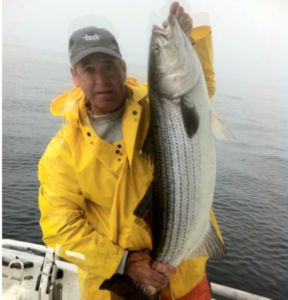 We hope you choose to tour our scenic harbor and coastline or experience fishing with us! 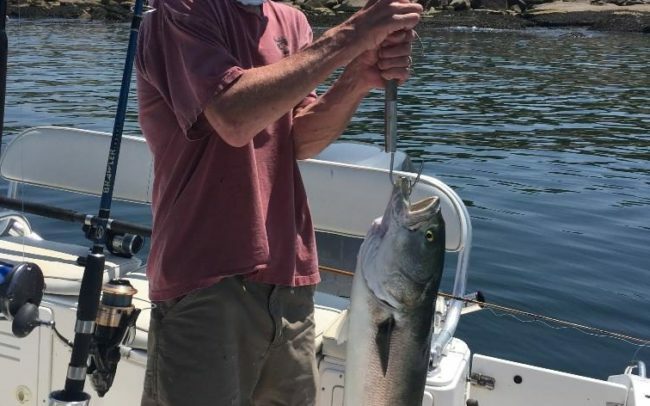 I am the owner of LAG Time Charters; I’m a lifelong Gloucester resident and have been fishing since I’ve been old enough to hold a fishing rod. 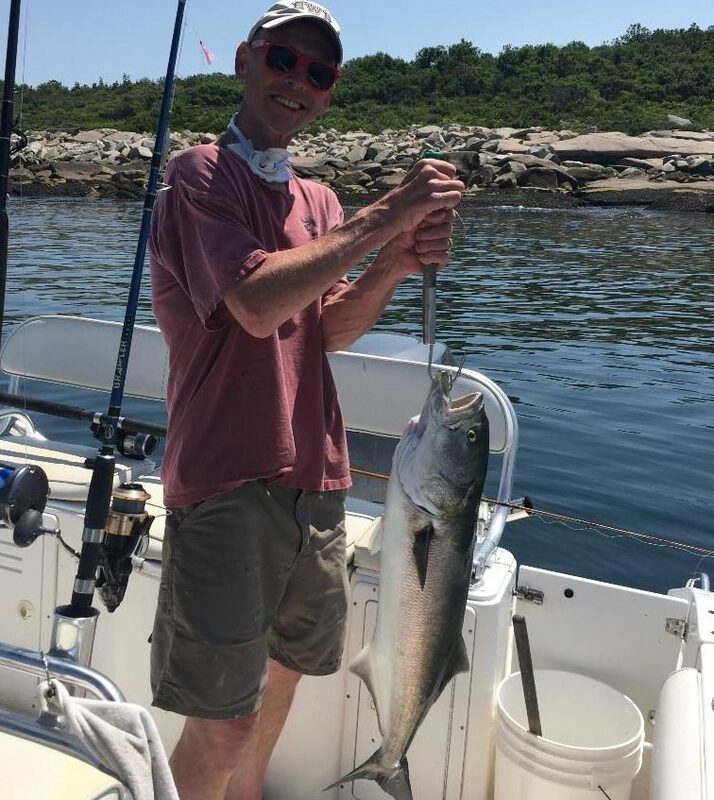 I worked at Gorton’s in Gloucester for 39 years and retired at the end of 2016 to combine my passion for the ocean and fishing by starting LAG Time Charters. (Life After Gorton’s). In preparation for my new career I obtained my U.S.C.G. license in 2016. 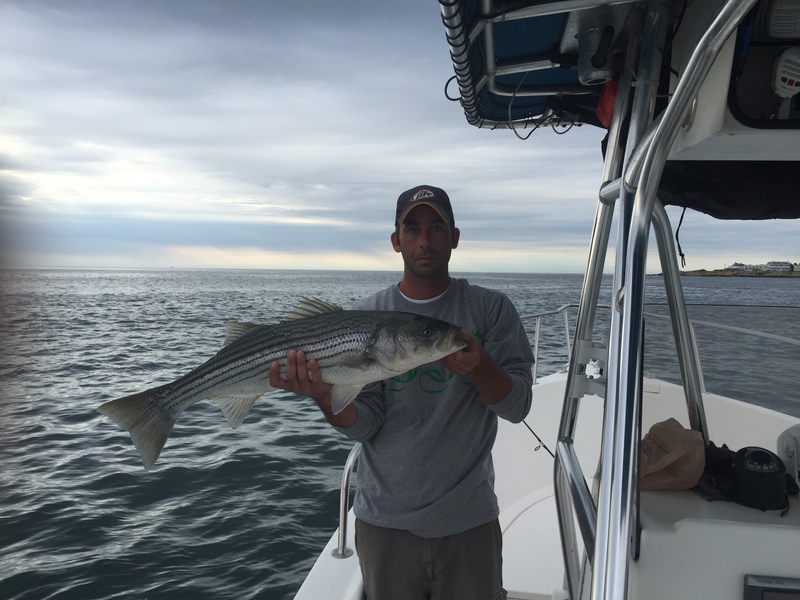 But don’t worry; I have been fishing the waters off Cape Ann for 20 years for Striped Bass and Bluefish in a variety of boats. I have a perfect safety record. Safety has been and always will be my first priority. All rates listed are for 4 hour trips and include rods, bait, and permits. 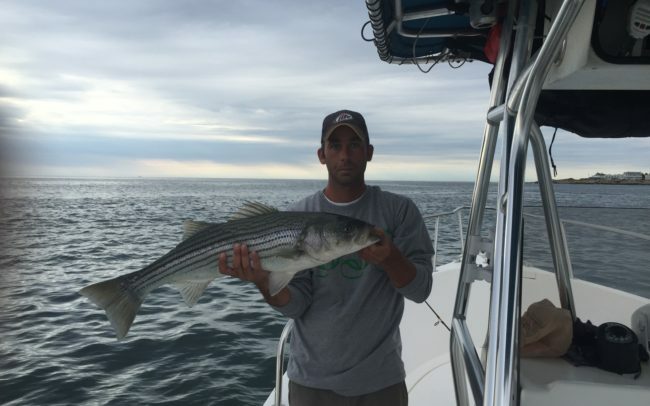 A $100 deposit is required for all fishing charters. Deposits are refundable if reservations are cancelled 3 days prior to reserved date. Fishermen are responsible for rods and reels during trips and must pay for any lost rods. 2 hour tours $90/hour. Minimum of 2 hours please. Maximum 6 people per trip. Trips are 1-1/2 hours each. Cost for trip is $125 for up to 6 guests.